The Ups and Downs Slouchy Beanie has done pretty well for itself (thanks to all of you!) 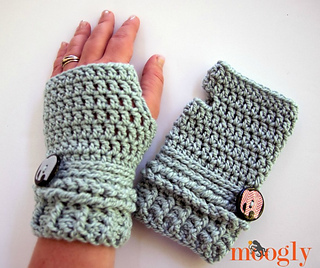 and I had a little yarn leftover… so of course I designed a matching pair of mitts! 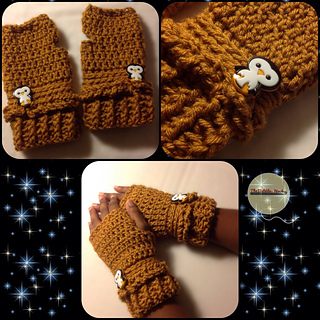 Introducing the Ups and Downs Crochet Fingerless Gloves! The Ups and Downs Crochet Fingerless Gloves use the same great stitches as the hat, and it is super easy to create a custom fit. Just wrap the first row around your wrist to get started with your custom size - as long as you have an even number of stitches, you’ll be all set! Or just follow the directions for a standard women’s size. They’re very stretchy, and actually pretty darn simple to make! You can whip up a pair today!